I’m not going to say a lot about this but I can’t let it pass without saying something. I just returned home after seeing Thor: The Dark World and am struggling to remove the smile from my face. Some time ago I admitted that I’d developed an admiration for Tom Hiddleston despite remaining impervious to the charms of Loki, the God of Mischief. I couldn’t get past the hair – I’ve never been keen on men with long hair. Tom Hiddleston as Loki in Thor: The Dark World. Source. I watched the trailers for this latest Thor film and decided that I definitely wanted to see it because, apart from anything else, it looked like a damn good film. In preparation I obtained copies of Thor and Avengers Assemble; if I was going to immerse myself in this Marvel world I wanted to know more about it. I loved the films and while I thought Tom Hiddleston gave a brilliant performance as Loki I was still having issues with the hair. So today I took my rather over-excited self into town to the cinema. I forewent the sugar overload of the pic’n’mix and settled for popcorn. I now remember why I don’t eat it – sore mouth! I settled down in my seat and waited. The endless stream of adverts and trailers for films I have no desire to see was greatly improved by a trailer for The Hobbit: The Desolation of Smaug. It looked fantastic on the big screen; something else to get excited about. And then it started. I don’t intend to give anything away as I would hate to spoil it for anyone else so I will try to be vague. This film blew me away with its beauty (Asgard is stunning), humour (there is so much), surprises (plenty) and heart-rending storylines. I defy you not to gasp and laugh out loud – I did. I also defy you not to weep or at least suffer from a little dust in your eye. I love that a lot of the action takes place in London and that, as can often happen, the English appear not to have been ridiculously stereotyped. And I also love Loki. Yes … you read that right. I have succumbed to the charms of the mischievous one, the shape-shifter, the frost giant. If he demanded that I kneel I would gladly do so … well ok, I’d probably kneel whether he demanded it or not but we won’t go there. Suffice it to say I finally understand what all the fuss is about and testament to this fact was me sitting in the car on the way home singing along loudly to Daft Punk’s Get Lucky, which coincidentally happened to be playing on the radio, and changing the lyrics to “Get Loki”. The God of Mischief would have been proud of me! There was one moment in the film that had me quite literally sitting there with my tongue hanging out. I just about managed to avoid drooling into my popcorn. I don’t remember the last time I was quite so affected by a naked torso. And no, it wasn’t Loki’s. I think it’s fair to say that I would kneel for Thor too! Chris Hemsworth as Thor in Thor: The Dark World. Source. Anyway, I wholeheartedly recommend this film. For me, and remember I’m only a shallow viewer of films, it was enormously entertaining, visually spectacular and so good I’d like to see it again. All the performances were outstanding but the double act of Chris Hemsworth and Tom Hiddleston is truly wonderful. I really hope we get to see it again. Go see it! And stay until the very very end of the credits, you’ll kick yourself if you don’t. When I decided to write a blog, I made a conscious decision not to blog about Richard Armitage. It’s no secret that I’m a great admirer of his, some might go so far as to say I’m a wee bit obsessed; however, in the ever-expanding Armitage blogosphere I decided that I had nothing meaningful to add. Selfishly I wanted to write about myself and the things that are important to me. I may have mentioned him once or twice along the way but essentially my blog is “Something about Kathryn”. So … I’m not about to turn this into an Armitage blog but if I’m going to write about what’s important to me then he does have to be up there. He’s not on the same level as my family history, but, given a recent interest I’ve developed in another fine British actor, I find myself questioning why I’m so fascinated with Armitage and some others. Ultimately I’m questioning why they’re so important to me. Richard Armitage – no surprises. Known for The Hobbit, Spooks, Robin Hood, North & South. 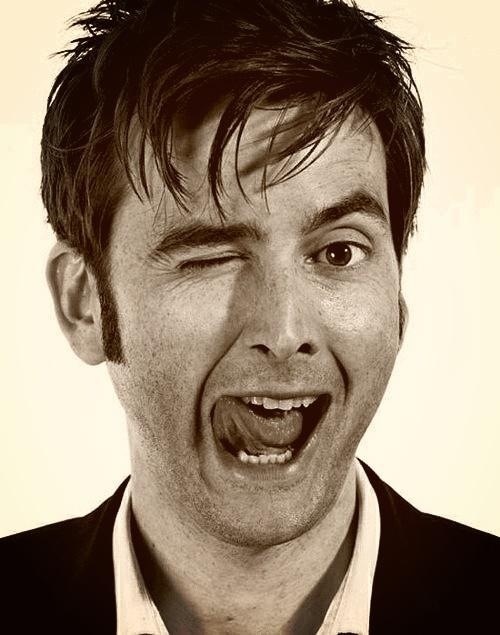 David Tennant – an old favourite. Known for Doctor Who, Hamlet, Broadchurch, Casanova. Benedict Cumberbatch – a growing attraction. 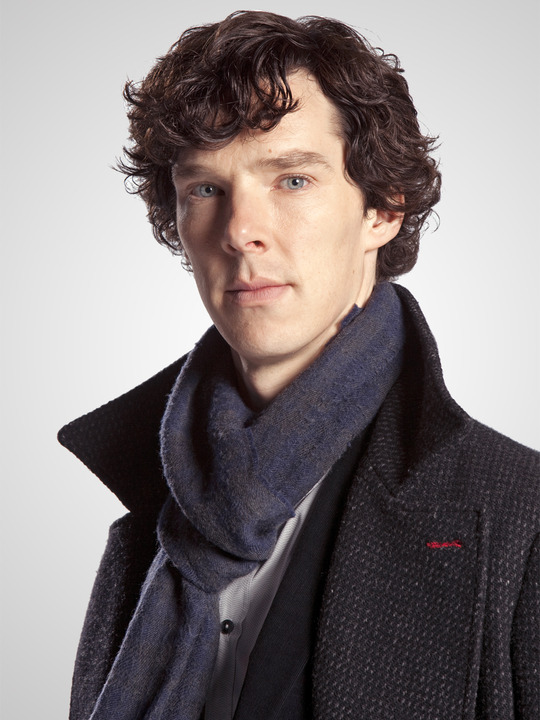 Known for Star Trek Into Darkness, Sherlock, The Hobbit, Parade’s End, War Horse. Tom Hiddleston – a new fascination. Known for Thor, The Avengers, The Hollow Crown, Midnight in Paris, War Horse, Return to Cranford. Richard Armitage as Lucas North in Spooks. Source. I was first drawn to Richard Armitage whilst watching Spooks. An avid Spooks fan from the very beginning it was only at the end of series 9 that I realised quite how involved I’d become in the story of Lucas North / John Bateman. To cut a long story short, I think it’s fair to say that it was the Spooks fandom that drew me in but ultimately the Richard Armitage fandom that claimed me. I found myself hopelessly drawn to his other work, but it wasn’t just the characters that I was interested in. I found, as have so many others, that his charm, compassion, humour, talent, and unbridled enthusiasm for his work had me hooked. I’d be lying if I didn’t say that his good looks helped but, if I’m honest, he only became so attractive to me when I knew more about him as a person, or at least what he wants us to know. His use of language in interviews was probably my undoing – I’m such a sucker for a man who uses words and phrases that are missing from my own vocabulary – and he’s a self-confessed geek which is always a winner for me. David Tennant as Doctor Who. Source. Now, I’d been interested in David Tennant’s work since I first saw him in Doctor Who. Geek personified! Looks wise, he’s not the type of man I would normally find attractive, but there’s something about a man with a sonic-screwdriver I find hard to resist (Matt Smith is not on my list but he’s a definite contender). Looking at the man behind the Doctor I found that his attractiveness, for me, lay in his wit, charm, talent, eloquence and compassion. I saw him on stage in Much Ado About Nothing and if I wasn’t bowled over before, I definitely was afterwards. Goodness only knows what will happen after I see him in Richard II. Finally, he inspired me to make a promise. Benedict Cumberbatch as Sherlock. Source. Benedict Cumberbatch is a strange one for me. For a long time, I kept seeing his face on Tumblr and was completely unable to understand the attraction that others felt for him. Then Sherlock happened. Geek personified – again – and a huge intellect too which I can’t resist. But then I realised that the man behind the detective had a great intellect too, was naturally witty, charming and wonderfully talented. Because of him, I intend to go and see Star Trek (something I never thought I’d do), and have found that his unusual looks are becoming more attractive to me every day. Then I read things like this and fall a little bit further under his spell. Tom Hiddleston at the Olivier Awards. Source. If any of these are going to surprise you then I guess it would be Tom Hiddleston. He’s not someone I’ve ever really mentioned on Twitter and, until a few days ago, I’d never posted any pictures of him on Tumblr either. For some time I was uncomfortable with the crush I was quickly developing because apart from Return to Cranford I hadn’t seen any of his work. For the first time, it was the man not the characters that first drew me in. It was his Unicef blogs from Guinea that got me: long words, beautiful phrasing, wonderful compassion. And I found that was just the tip of the iceberg. He has all those things I’ve admired in others and he has them in spades. I discovered that he doesn’t actually look like Loki in real life, a look that does nothing for me at all, and has an infectious joy that creeps out of the screen and into your heart without you even noticing. I’ve decided to be honest about this new fascination because I think I now understand it better. All these men show qualities that I hugely admire and find endlessly attractive. Yes they’re good-looking, but they’re all men whose looks did absolutely nothing for me when I first saw them, even Richard Armitage. My first Armitage experience was actually Robin Hood. I watched all three series when it was first on the television and never once noticed Guy of Gisborne except as a character to be disliked. With both television and films I’m a very shallow viewer and will often miss the nuances of character that others thrive on. I didn’t like the character, and his long hair (each to their own but that wasn’t for me) meant I didn’t notice if he was good-looking. So why are these men so important to me? I can confidently say these are not simply lustful obsessions. I’m drawn to certain characteristics especially intellect when matched with fun, kindness and decency. I seem to be attracted to men who I see as being intellectually superior to me. I look for the things that were missing in the past when my own intellect was a source of humour and derision. It’s only now that I realise that the behaviour of certain people in my past says more about their own insecurities than it does about mine. If anyone was to ask me what I look for in a man, I could do a lot worse than point out the characteristics of these men who I so admire. I’m not looking for a man exactly like any of them, they just happen to epitomise the things I find most attractive. They’re important to me because they have qualities to admire, are inspiring in ways I cannot fully fathom, and because they bring me great joy.